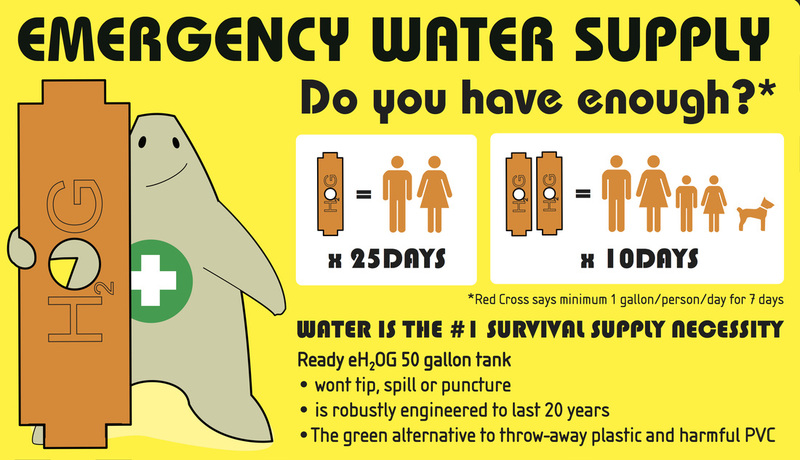 You need emergency water storage that will not tip, spill or puncture in a disaster event. Be prepared with best practice drinking water storage in your home, school or business. Rectangular food-grade water tanks cannot roll and can be stacked for the most effective emergency water storage. Allow 2.5 gallons/pet for a week of drinking water. Allow 2 gallons/day/person for washing and cooking.